David Sweeney is our Games Promotion Officer. David took up the position as Games Promotion Officer in the club in October 2017. 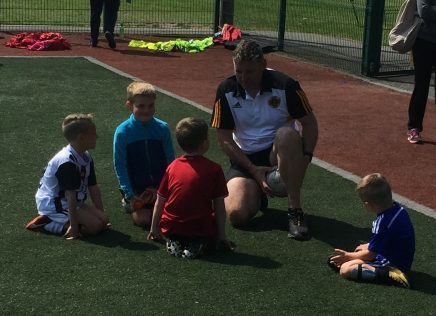 David works intensively with local schools and our nursery as well as supporting the club’s own mentors and players. Four days a week in schools during school term in St Marnocks National School, St Helens Junior & Senior Schools & St Nicholas of Myra. This covers twenty five different classes as well as the autistic unit in St Helens Junior School. Attend primary & secondary school matches. Set-up and co-ordinate the annual mini leagues. All of the juvenile coaches and mentors who give up their personal free time to work with the juvenile teams as well as the principals and teachers in the primary and secondary schools that I work in.